One of the map-makers I keep online tabs on is +matt jackson, who just came out with his fifth volume of Moleskin Maps. 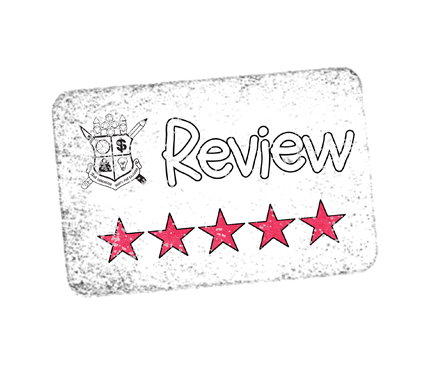 I have some of his earlier maps, and have even reviewed his Village of Cowfold. This 28 page PDF was a PWYW (Pay What You Want) product but I just checked it and saw Matt had changed it to $3.99. I'm not sure how many people were downloading it for nothing, but I bet it was a lot. Too bad, because this collection of 13 maps, and the rest of the download, is quite worthwhile. First off, each map comes with a lead-in page that is.....if I might be so bold...damned useful. There is a section to record the area name, background, key locations, GM Notes, and even spots for wandering encounters and treasure. more "common" cave/cavern maps, one is a small village, one is a mined/dug out area map, and four are a mix of natural caverns and man-made built up areas. Now if you are keeping track.......you should have realized that I've only counted up 12 maps instead of 13. 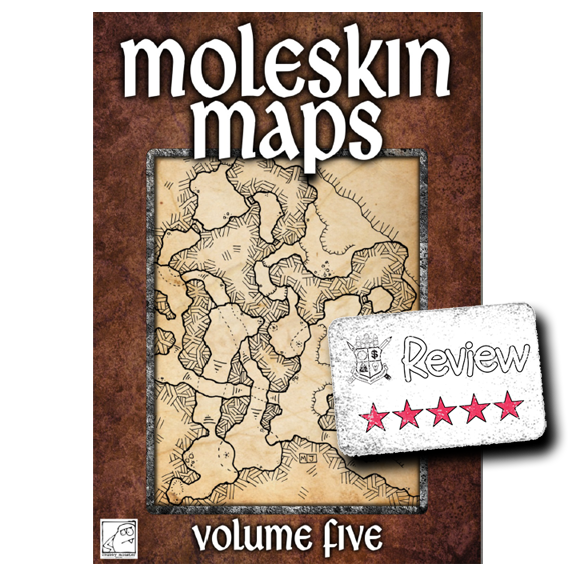 There are 13 maps in Moleskin Maps Volume Five, with the last map I didn't count being a two-story building and small cave on page 22. The reason I didn't count this map is because while it is in the PDF, it isn't in the associated download of PNG files. 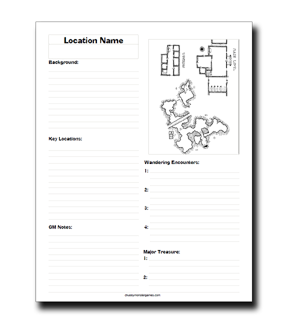 Oh yeah, I should probably mention that along with the PDF you get a collection of maps as hi-def PNG files. Between the info pages and these extra PNG files, even if I didn't like the maps, hell HATED the maps, these extras would get a good two or three stars out of me. Having some good maps is one thing, but making it easier for GMs to use the same maps is HUGE! Confession time here.....I don't know how many times I've had to "crack" a PDF I've bought just to unlock some basic functionality I needed. With Matt providing the maps outside of the PDF I can edit them as-needed and use them pretty much anyway I need to at my home table. ......well all the maps except that last one. I bet +matt jackson will rectify that soon. I have one minor quibble, missing PNG map aside, but it is just more of a personal map preference. I only mention it so I don't seem like a complete fanboy. The bottom-line is that at 30¢ a map Moleskin Maps Volume Five is a great deal and well worth the download. Edit: Do yourself a favor and read the comments.....trust me...I put a break in this so you'd have to load the individual blog post which also loads the comments.